The UCM sky patrol station is located at the top of Facultad de CC. Físicas building as a facility of Observatorio UCM. Funds from the Spanish ministry (MICINN AYA2009-06330-E) have been obtained to complete the station and to obtain all-sky coverage. 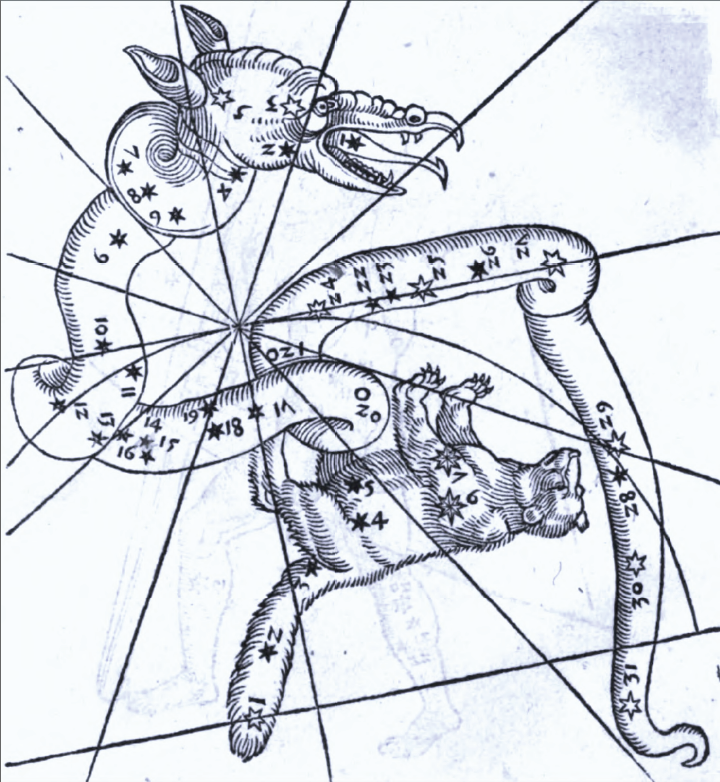 A total of six cameras (5 in azimut and one covering the zenit) have been mounted to cover the whole sky at night. The system is doubled with cameras to be used during the day. One of the main characteristic of this station is its automatic operation, so daily maintenance is not necessary. 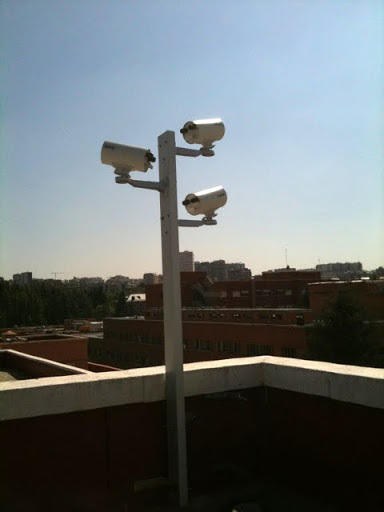 An electronic system switchs on and off the cameras and also changes which between day and more sensitive night cameras according to amount of light. The system stops the cameras when rain is present to prevent the recording of lots of false detections. After comparing different kinds of software, UFOCapture has been selected to detect events and to record the video and images. Read Estación de videodetección de bólidos del Observatorio UCM. (in spanish) for more information. 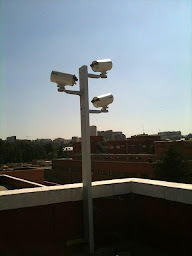 Several cameras are located at the researcher's homes in Madrid downtown, Majadahonda and Villaverde del Ducado (Guadalajara, 150 km NE of Madrid).